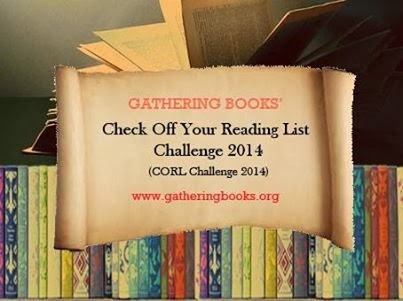 I had 36 books selected as my "must read in 2014". In the first quarter of 2014 I completed 17 of those titles. 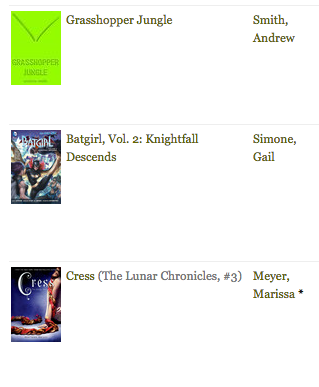 Since I finished almost half of my choices in the first quarter, I added a few more titles (I'm now at 44). 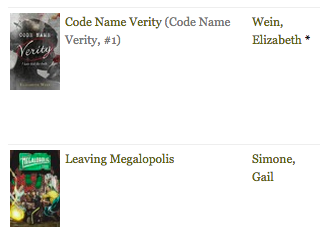 As I finish out the third quarter, I'm a bit concerned that I might not actually finish all 44.... but I've already started to collect books for my Must Read in 2015 list! Maybe a few 2014 will have to migrate. I guess I'm okay with that. You can view the whole list on my Goodreads page here. 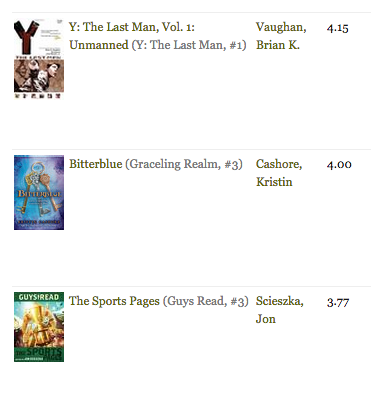 While I did feel like my pace slowed, I ended up completely a decent number of titles this last three months. Only 2 (that we know of) creatures with Y chromosomes survived a mysterious plague..
Graphic novel collecting some very odd events. It didn't feel very well wrapped up for a story arc, but I'm curious to see what happens next. I'm not gonna lie - sports books aren't really my thing. Still, this was a great addition to the Guys Read series, and my students love it. I wanted to love this one... I really did. It has a fascinating premise and I wanted to know more about the end of the world and the Unstoppable Soldiers. The story, though, was told in a way that made me feel more than a little whiplashed - jumping back and forth as the narrator told me about old events and new all at once. I love Batgirl, even though this series is quite dark. Gail Simone is a master storyteller, and the art is FANTASTIC. Another amazing series. I ADORE the idea of taking fairy tales and transporting them into science fiction. BRILLIANT! I'm a Thorne fangirl. Got this through a kickstarter. Definitely dark, and the art is great. The story felt a bit rushed, though. SEPTEMBER - yep, this was where I seriously slowed my progress.... still, it was a great one to complete.. 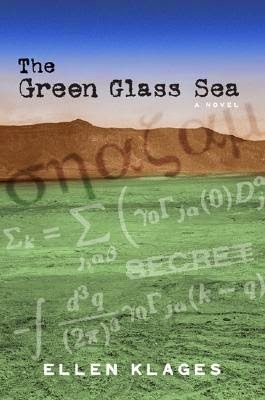 I LOVED this historical fiction, set in the same time as BOMB. Great friendship between the girls (though I wanted to throttle the one for quite a while). I also loved the "maker" emphasis as both girls are true creators. Definitely get this one for kids who are interested in the time frame of the creation of the atom bomb.